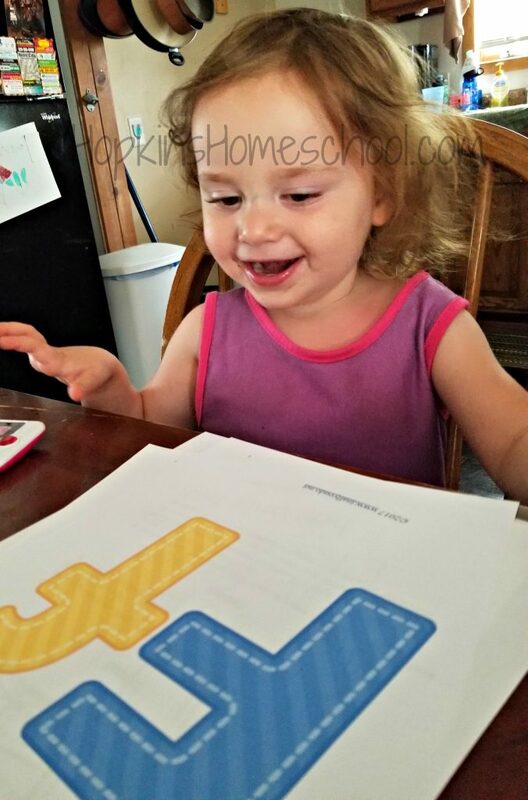 Baby Girl loves to learn, and she loves to do school with her older siblings. While it is fun to give her copies of what they are learning about, sometimes she needs her own lessons and her own “school”. 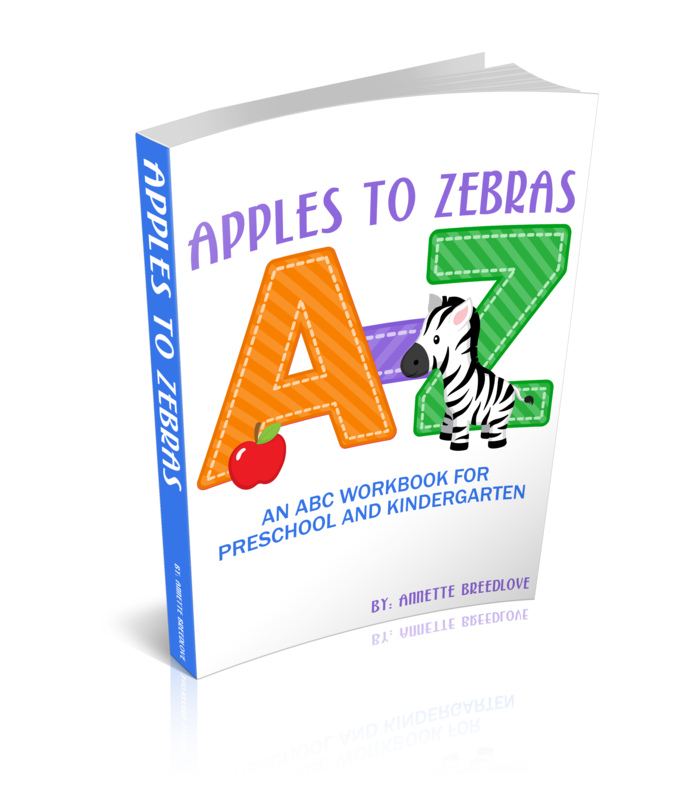 We have had so much fun with From Apples to Zebras: An ABC Workbook for Preschool to Kindergarten from Annette Breedlove at In All You Do Breed-Love. While Baby Girl is younger than preschool, I found that From Apples to Zebras is a great way to build her learning of the alphabet and introduce her to the letters and sounds they make. This was a great introduction for her, and I plan to re-use this again with her in the next few years! What do I mean by this? Well, right now, Baby Girl is not ready to learn everything that is included in From Apples to Zebras, but she is ready to learn. We are able to use some of the items, and we use them multiple times during the week. But if she was just a little older, we would be able to use so much more. So, how do I make this work? Well, I think about what Baby Girl can do right now, and I think about what she can do in the future. I know that I will be using this program with her for two, maybe three years. And this is great for me! Um hello, one price, use it multiple times to have your child master what they are learning? Yes! Especially when it is a younger sibling to a homeschool child! While Baby Girl may be a little too young for this curriculum in its fullest, I found that this was a great introduction for her that I could use over again for a few years and make sure that she had mastered what we were learning before moving on to the next adventure. By using bits and pieces of this curriculum at this age, we have built a foundation that I am happy to keep building on! Apples to Zebras is broken down into units. Each unit focuses on 3 letters and is followed up by a review of those letters. Each letter takes one week to focus on. Each day, for three days during the week, you get to work with your child on the letter. We decided to try Monday, Wednesday and Friday, which worked for us. While we have been using this program with Baby Girl, we have been working on the letter name and the sound. We will repeat this program again after we have fully completed it and add in another aspect that I feel will work for her. That is the benefit to this program, we can use it for multiple years adding in new things each time we do it. Baby Girl loves having her own school. I love having an option to re-use the same program more than once to help cement the topic into my child’s memory. I love knowing that I can have a program that we can build on. 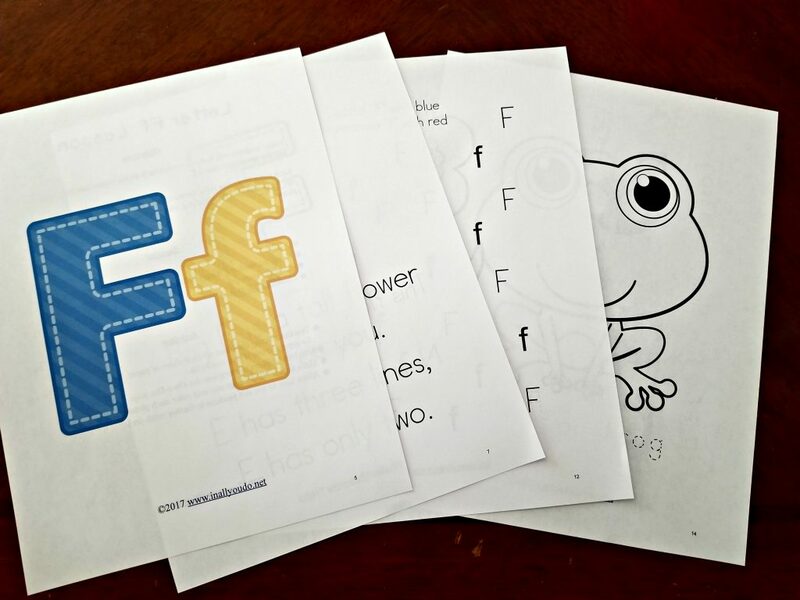 The options available with this range from easy, coloring sheets to difficult, writing the letters. This means that we can have short and sweet lessons this year, make them a tad longer next year and use the program to its fullest during our third year…um three years of school for one price?!?!? Yes, I will take this! 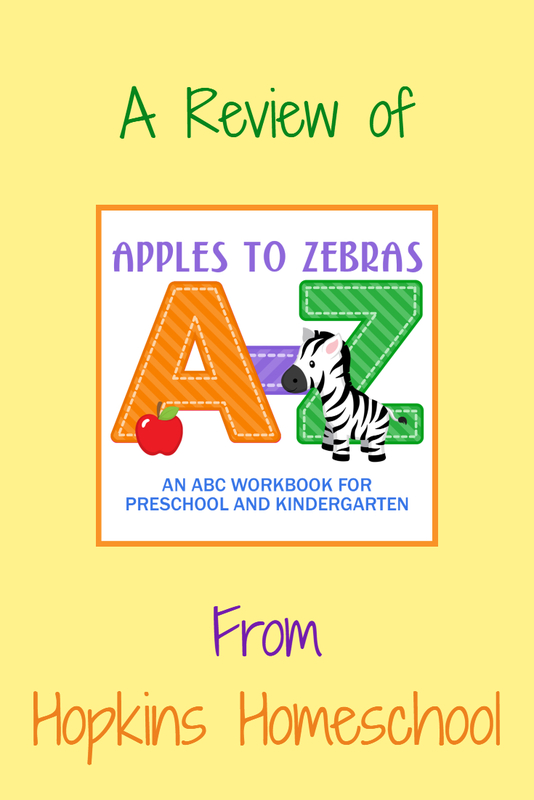 If you have a toddler wanting to do school with the big kids, or if you have a Kindergartener who is ready to learn, Apples to Zebras is a great curriculum for you to own. 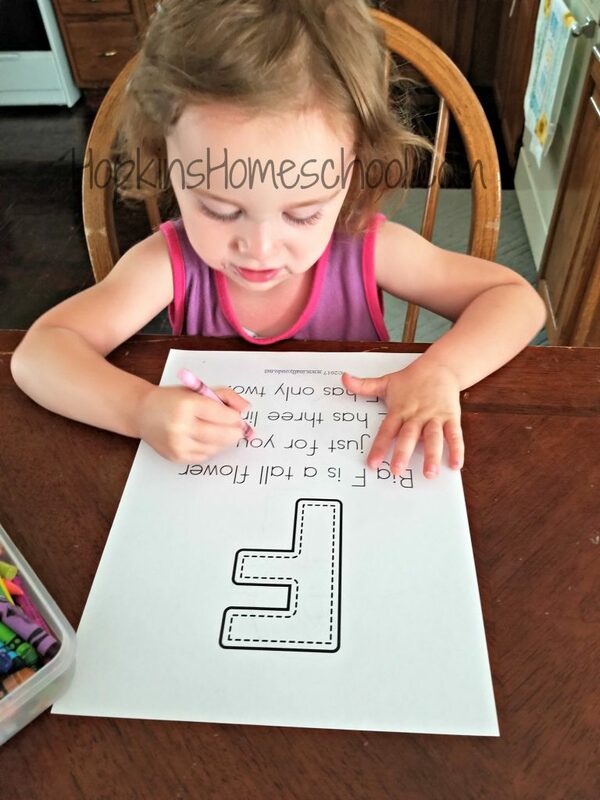 And if you have the toddler ready to learn, know that you have enough with this one curriculum to guide them through up to Kindergarten for one simple price! What is your favorite program to use for the toddler/pre-school age?